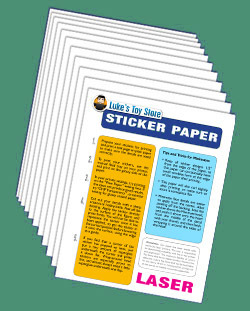 Use this vinyl adhesive film along with your laser printer to create your own Minimate decals, along with tons of other uses! This is a new kind of sticker paper that I recently discovered, and the results are very impressive. This paper is thin, easy to work with, and matches the glossiness of minimates much better than other kinds of sticker paper. It holds colors very well, giving you clear and vibrant results. This paper has a thin strip of thicker material on one edge that helps your printer feed the paper through correctly without errors or paper jams. The only tools you will need to apply your own stickers are a sharp scissors or hobby knife! 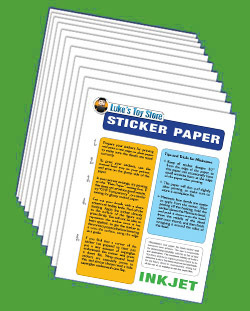 This pack includes 10 sheets of 8.5" x 11" white vinyl adhesive film for use in laser printers only. A full set of instructions is included, along with tips and tricks for getting the best results. "I believe that the single best way to make your minimate customs look professional is to use decal or sticker paper. They are also one of the fastest methods you can use. 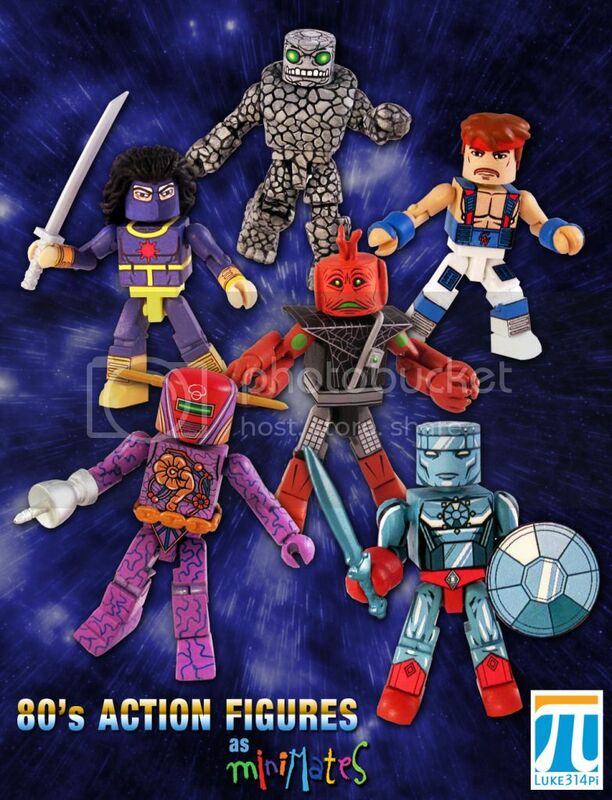 Depending on which character you are customizing, you can create a new minimate in as little as 10 minutes. If you click the Minimate Factory button on the left menu, you will find over 100 free decals that you can print and use on your own customs!" 1599 Lukers will be rewarded to you when you buy this item.